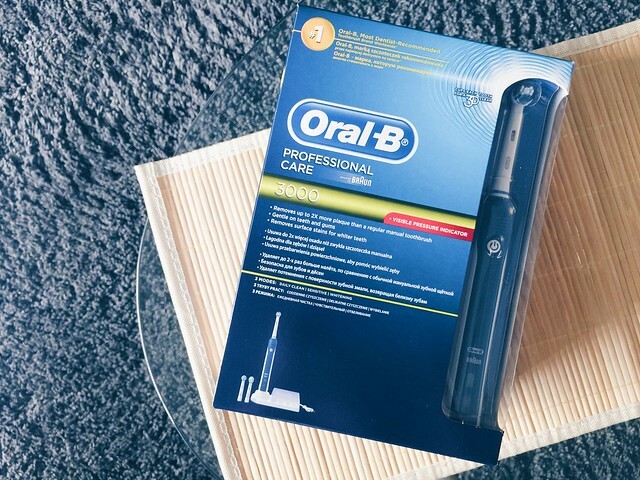 More about the Oral-B power toothbrush! No need to introduce Oral-B, everyone knows Oral-B is a leading toothbrush brand! 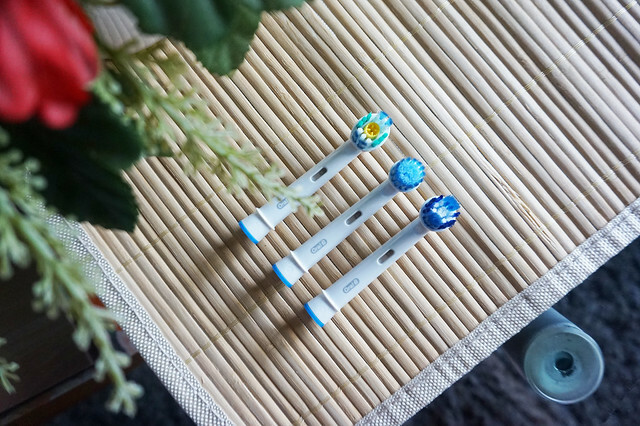 The entire kit comes with a charging stand for the toothbrush, as well as two other brushes. The three different brushes have different modes. Daily clean, sensitive, and polish. People like me will need to use the sensitive brush which has extra soft bristles because my gum is more prone to bleeding if I brush too hard. But I'd be so tempted to use Polish too because I want white teeth! Maybe can alternate! Anyway there's also an indicator which lights up when brushing too hard. Such gentle loving care on the teeth! 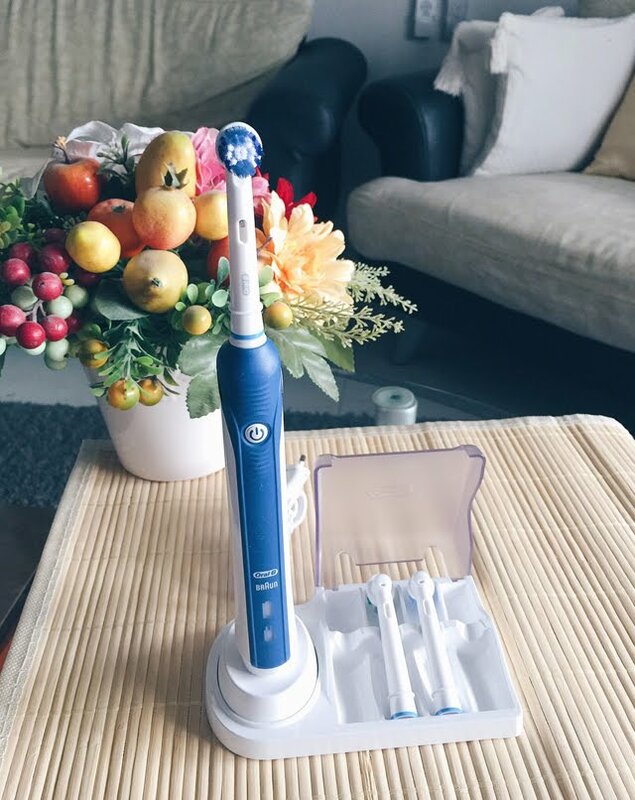 Do you know that Oral-B pioneered the oscillating-rotating power technology in 1991 and has incorporated it into its premium power toothbrushes range ever since? 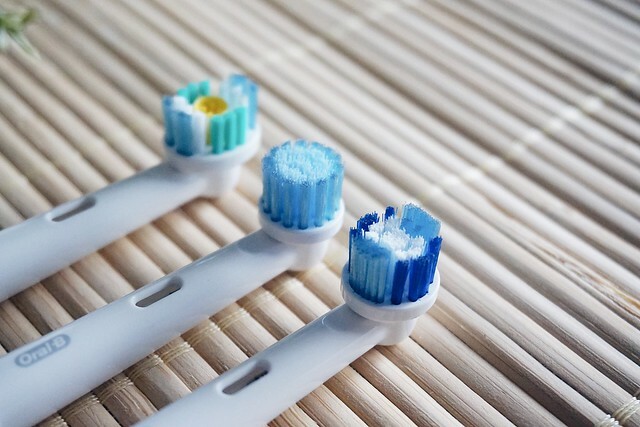 The power brush's oscillating rotating technology cups each tooth separately for a precise and thorough clean to remove 100% more plaque than manual toothbrushes by breaking up the plaque and rotating to sweep it away. It also reduces gingivitis more effectively and gives a dentist clean feeling everyday without having to go through the nerves or pain from visiting a dentist! This is really awesome especially for dads who do not like going to the dentist! Plus electric brushes are so fun to use! Don't have to worry about your dad not knowing how to use because it's super simple! 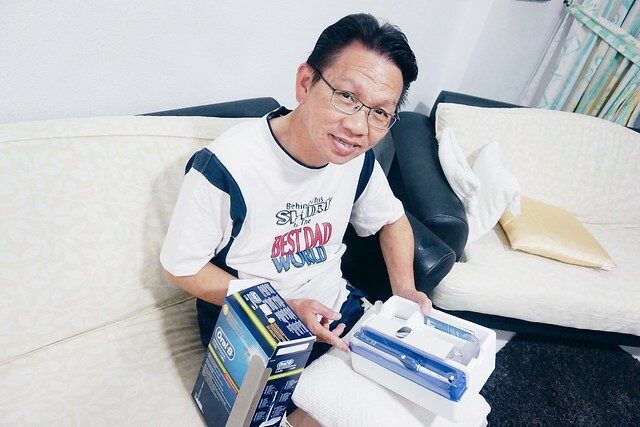 Gift your dad a power smile this father's Day with Oral-B power brush! You can get it conveniently from this link.